Governor of Lagos State, Gov. Akinwunmi Ambode of Lagos State, yesterday, said construction of the planned $1.5 billion Badagry Deep Seaport will commence in 2 months. This came barely 6 days after the consortium for the project expected to be the largest deep sea port in Africa emerged. Ambode disclosed this when he led a team to inspect various developmental projects such as; the ongoing expansion works on the Lagos-Badagry Expressway into 10 lanes, Badagry Deep Seaport, among others. “We know that they (investors) have done their best to ensure the project comes to fruition,” we will also do our best to see the project commence operation within the shortest possible time. “The project means a lot to us in terms of employment and establishment of new settlements,” the governor added. Ambode stressed that his administration would work effectively to bring development to the communities in the state. “There are 12 communities here; we will ensure that they are all compensated. “But in a situation where we have one or two communities still at the negotiation stage, we will ensure that we reach necessary conclusion. “I just want to appeal to one of the warring communities -Aivoji, that they are safe. 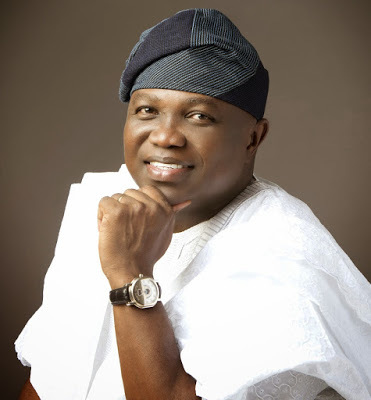 “Even as we ensure that the project is long lasting for generation yet unborn,” Ambode added. “And immediately they (CCECC) commence work on the road project from Mile 2 towards Badagry, once we pass the aspect of Okokomaiko, we should be able to do the Blue Rail from Mile 2 to Okokomaiko.